Behind every good brew there was once a woman. 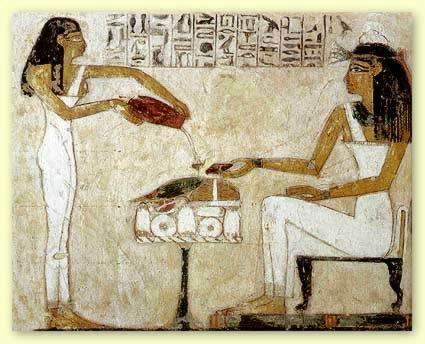 We go back 4000 years before Christ, to Babylon and Sumeria, where ale (a sort of beer) was the chief drink, young, yummy, and hygienic. The alewives, as brewsters were known, were the rallying point for men who banded together every evening after a hard day’s toil. This was the time when the King of Hordoland was so carried away that he married an alewife. He never had to go out for a good drink ever since. A penny for the thought! 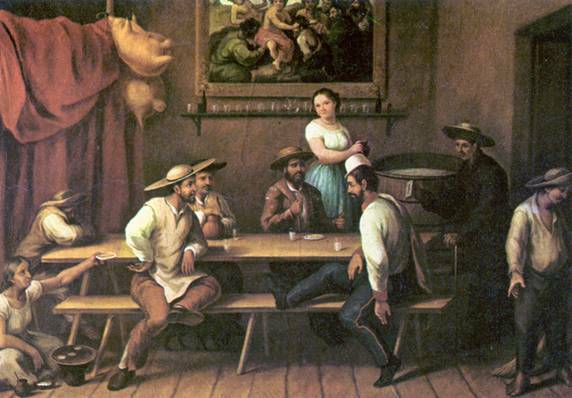 In England where there were almost as many alehouses as there were people, men who couldn’t marry alewives, spent more time with them at the taverns sparing their wives at their homes. The alewives not only got attention, they also made a helluva lot of money by selling the brew. What a job! Alewife! But one must always read the small print, the catch. 1) Barmaids who don’t fill beer up to the brim of the glass shall be punished. Death by drowning (An old notice must be procured and pasted outside the present bars in the city). 2) Barmaids who overcharged the customers shall be…(again…)put to death. 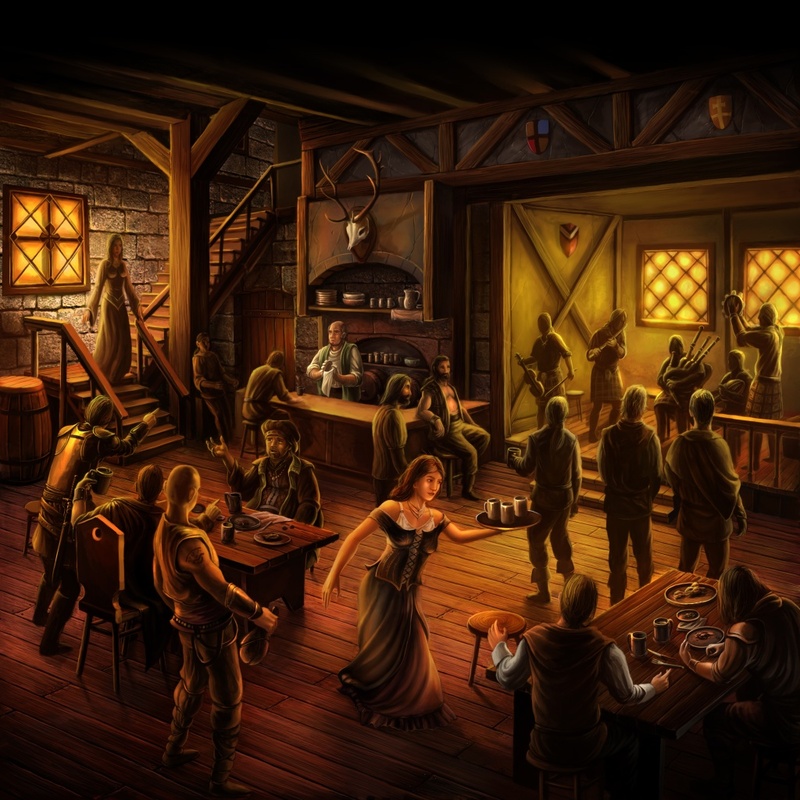 3) And the most horrible of the crime; (drumrolls) barmaids who produced beer of low quality (dramatic silence)… should be drowned in the brew they themselves had brewed (final crash of cymbal). Tell me. Who wants to be an alewife now? Come marriage, come births ale-women played a significant role. Ever heard of the rituals: Bridal ale and Groaning ale? No? “Avoid all presents.” “Your presence itself is our present.” Nothing like that would work in ancient marriages. The day marriage is fixed the bride’s mother (bride and brew could have come from the same word) would throw whatever came handy to her into the cauldron to make a sort of beer. It must be put on the village meadow right on the nuptial day. Fore sale. If you’re a traveler passing by, the ale would come cheap. But if you are one among the invited, you were required to buy it at an exorbitant price. Such was the rule. The excess money gleaned from the invited guests formed the dowry at the end of the day. The more you drank the more you got the bliss for chipping in a chunk of your fortune for the welfare of the new family. The moment the local midwife got wind that somebody in her diocese got pregnant, she would start brewing a batch of strong ale. The cask should be prized open only on the day of the childbirth(groaning). Sorry, the drink was not for the public. When the labour pain began, the mother and the midwife would start guzzling down mugs after mugs of the beer. The drink must save both of them from the trauma and the pain they had to through soon. Others could just watch from the gallery and groan. That is groaning ale. Well the child had come out. Now what? Your heart might leap to your mouth when you catch the midwife anointing the newborn with ale. Cool man. The ale was far more pure than the sort of water people drank back then. Those were the days when children were baptized by beer in churches. The weather did not stay pleasant from the womenfolk for long. By the end of the 11th century, members of a boy’s club who wielded crucifix marched on to the scene, knocked alewives off the throne, picked up the job and monopolized the production of ale. 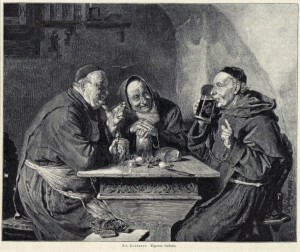 The long tradition of beer-making in churches and monasteries thus began.